Full-time violist. Part-time violinist. Teacher. Friend. New Yorker. Youtube fanboy. Star Wars lover. A versatile musician and educator, Davis King began playing violin in his school’s music program when he was four years old. 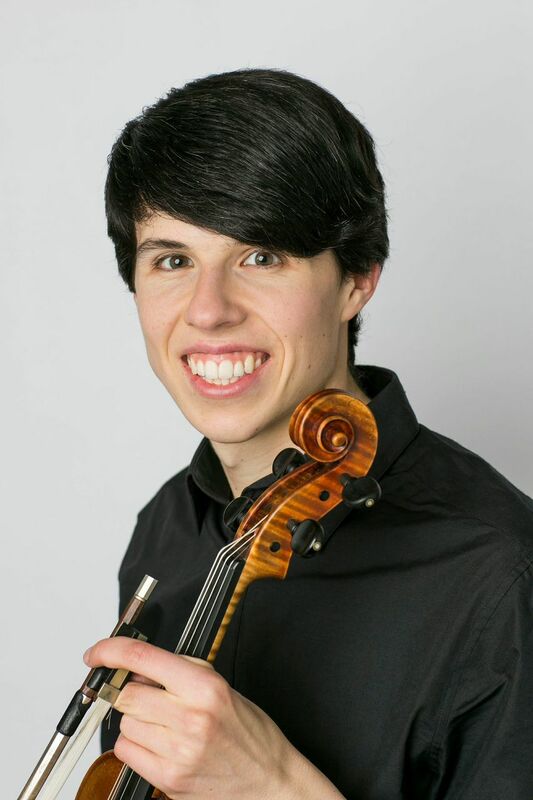 Today, both a violinist and violist, Davis has had the opportunity to play and work work with renowned musicians across the nation, including Shmuel Ashkenasi, Paul Coletti, Dmitri Berlinsky, the Pacifica String Quartet, and members of the New York Philharmonic. As a member of the Civic Orchestra of Chicago, Davis has served as principal violist under the baton of Maestro Riccardo Muti. Additionally, he has been featured on WFMT’s programs Impromptu and Introductions. At the end of last season, Davis designed and hosted an event at Symphony Center that was the culmination of a year long project with the Chicago Public Schools. An avid teacher, Davis serves as a teaching assistant to Almita Vamos at the Music Institute of Chicago. Additionally, he is on faculties at the Merit School of Music and the People’s Music School. Davis’ students have been admitted to prestigious institutions such as the Juilliard School, Indiana University, and the Eastman School of Music, and have won top-prizes in both local and national competitions. Davis’ strongest passion is training budding musicians and he plans to pursue teaching violin, viola, and chamber music. If you could choose any store to outfit Civic’s concerts, which would it be? Anything written by Schubert or Mahler, Beethoven’s violin sonatas, Wieniawski’s Variations on an Original Theme, Sarasate and Waxman’s Carmen Fantasies… the list is endless. Personal trainer. The traits and skills that go into being a good educator can be applied to any activity. I’ve always felt working on one’s health is akin to mastering an instrument, because the journey is endless – one can always strive to be better. I find mentoring people along this pursuit is fascinating in any field, music just happens to be the one I fell in love with.